Es wurden 7 Whitepaper zwischen dem 28.Sep.2014 und 26.Oct.2014 veröffentlicht. Distributed Query Processing in SAP IQ on VMware vSphere and Virtual SAN. Performance and Scalability of Microsoft SQL Server on VMware vSphere 5.5. Graphics Acceleration in View Virtual Desktops . USB Device Redirection in VMware Horizon with View. 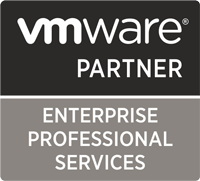 Deployment Guide for vCenter Operations Manager for Horizon. Beschreibung: This performance study demonstrates that VMware vSphere 5.5 provides an excellent platform for virtualized deployments of SAP IQ multiplex servers. Two modes of distributed query processing to share intermediate results are compared: storage-transfer and network-transfer. Beschreibung: This paper demonstrates that large Microsoft SQL Server databases can achieve great performance and fully utilize current-generation server and storage technology using VMware vSphere 5.5. The paper details a variety of vCPU and virtual machine quantity combinations, all of which show that vSphere can handle hundreds of thousands of online transaction processing (OLTP) database operations per minute. Beschreibung: VMware Horizon FLEX is a policy-based, containerized desktop solution that allows IT administrators to create, secure, and manage restricted virtual machines for use on local Mac or Windows desktops. These restricted virtual machines meet the needs of workers with their own computers, road warriors, and Mac users in the enterprise, while providing IT with strict control over data and applications. End users working within their restricted virtual machines on their endpoints can be either connected or disconnected from the enterprise network.The paper describes basic architecture, target use cases, and user and administrator workflows. Beschreibung: This document discusses the benefits of the different types of graphics acceleration available for VMware Horizon with View virtual desktops. In addition, the document provides information on how to implement and troubleshoot each graphics technology. Beschreibung: This VMware Mirage reference architecture tests a deployment strategy for backing up a large number of Windows desktops, while preserving the customization, applications, and data that personalize end-user systems. This reference architecture also shows how to efficiently migrate thousands of desktops from Microsoft Windows XP to Windows 7. The purpose of the document is to help guide the planning and design of successful Mirage implementations. Beschreibung: We are all familiar with using USB devices on laptop or desktop machines. If you are working in a virtual desktop infrastructure (VDI) environment such as View, you may want to use your USB devices in the virtual desktop, too. USB device redirection is a function in View that allows USB devices to be connected to the virtual desktop as if they had been physically plugged into it. Beschreibung: VMware vCenter Operations Manager for Horizon enables you to monitor and troubleshoot a View virtual desktop environment. This guide introduces you to navigation of the user interface and understanding alerts and events, as well as correct setup of the tool. Specific use cases illustrate how to troubleshoot problems in a View environment.